The latest version of Android is almost here. Google (GOOGL) announced Wednesday that the new version of its Android mobile operating system, nicknamed "Lollipop," will be available on select mobile devices within the next few weeks. Lollipop will first be available on the Nexus 6, a new phone developed with Motorola that hits stores in November. It will also be available on the new Nexus 9 tablet from HTC and the Nexus Player, a gaming and streaming media device from Asus. The software will follow shortly on other Nexus-branded devices, as well as a handful of "Google Play edition" phones. Those phones, from companies like Samsung and HTC, run Google's pure version of Android without any of the typical bells and whistles that phone makers add to make their phones stand out against their rivals. 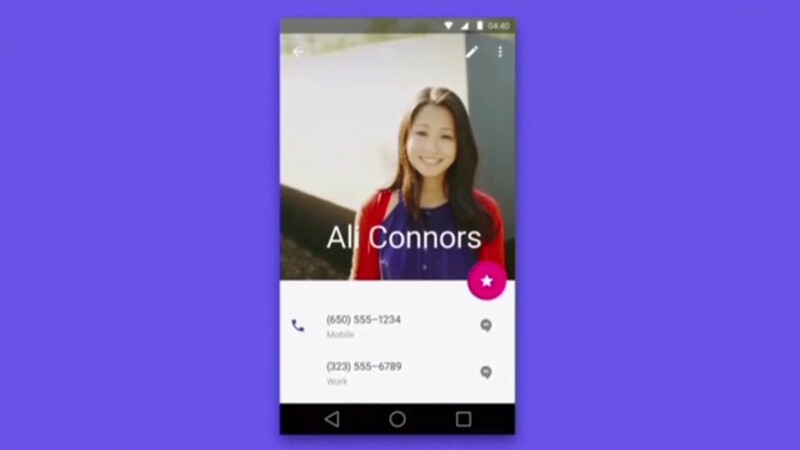 Google previewed Lollipop at its software developer conference earlier this year. The software is designed to work across all your devices, from smartphones to tablets to TVs, storing your information and allowing you to pick up wherever you left off on a previous screen -- even if it was on a different gadget. It allows for multiple user accounts on a single device, as well as custom notifications for specific contacts. Lollipop also has a cleaned-up look that Google calls "material design," which gives the illusion of varying depths of perspective for images on the screen. It also allows users to set up a "personal unlocking" system in which the phone won't require a passcode when it senses that it's in a trusted location or detects your Bluetooth-enabled wearable devices. There's no word yet on when Lollipop will be available for the wider world of Android devices, but expect it to be available in the coming months as hardware makers incorporate it into their designs. The Nexus gadgets aren't usually big sellers, but they're popular among Android enthusiasts who like to tinker with their devices and don't want to deal with software skins from phone manufacturers. For Google, the Nexus line is a chance to display what it sees as the ideal hardware complements for Android and set an example for manufacturers. The Nexus 6 phone comes with a massive 6-inch screen, a 13-megapixel camera and dual front-facing stereo speakers. The charger gives you six hours of use after just fifteen minutes, or 24 hours from a full charge. The Nexus 9 tablet from HTC comes with an 8.9-inch screen and an attachable magnetic keyboard that lets you rest the device on your lap like a laptop. The Nexus Player, meanwhile, is a set-top box along the lines of Roku or Apple TV that offers a browsing interface for TV and streaming video apps and also supports Google Play Games.